O Athletik offers the top MMA training in the Houston area. Our training facility is top-notch with excellent instructors who are experts. The environment is not only one of hard work and dedication, but fun and personal growth as well. (MMA) or mixed martial arts is a full-contact sport that uses techniques from a variety of combat sports. MMA originates and has roots from both ancient Greece and China as a sport that combines both boxing and wrestling. The present-day, modern movement of mixed martial arts includes Brazilian Jiu Jitsu, shoot wrestling, muay thai, judo and many other martial arts as well. MMA allows the use of both striking and grappling techniques while standing upright as well as ground fighting. 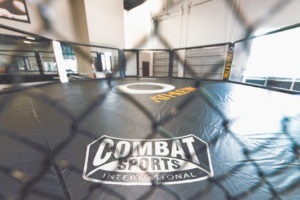 At O Athletik, we incorporate a variety of martial art techniques that allow our trainers, who are also MMA fighters, to guide you through our hands-on program. Through our classes you will learn how to hone in on a large arsenal of must-have tools that will help you succeed in the octagon. Whether you are a seasoned veteran or just beginning your MMA journey, we can help craft you into the athlete that you’ve always wanted to be. Through consistency and discipline, you will train your entire body with each session. MMA is high-intensity and builds strength and muscle endurance. MMA goes beyond just the physical. Our coaches will help you develop the mental toughness that you need. Contact O Athletik today and begin your journey of mixed martial arts!